Germany is dealing with the culture shock of absorbing more than a million new immigrants who have arrived in that country in the past couple years. 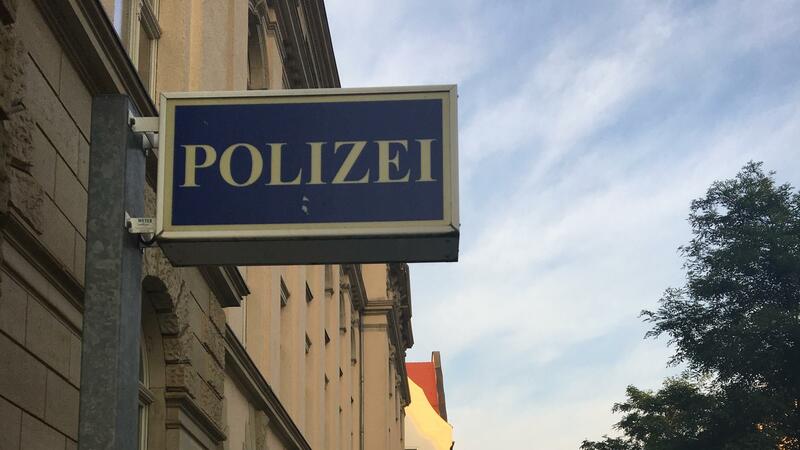 The German police are on the frontlines of that process. 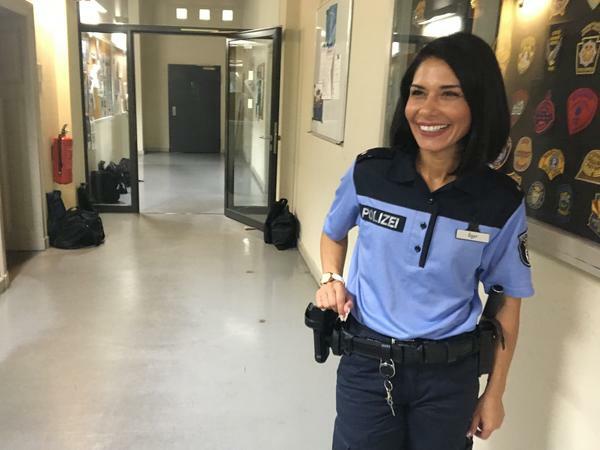 Unlike cops here in the U.S., police in Germany are expected to help enforce immigration laws, and that includes deporting people. So police and migrants have developed a very tense relationship. 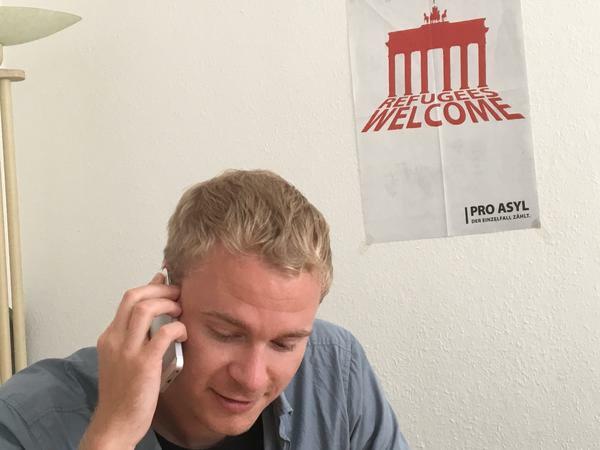 NPR's Martin Kaste has this story from Berlin. MARTIN KASTE, BYLINE: On a lazy summer evening, a funk band sets up on the main plaza of Chemnitz. It's a city once known as Karl-Marx-Stadt in eastern Germany. Marx's giant bearded head carved out of a stone the size of a house still looms over downtown. But the rest of the scene is very much 21st-century Germany. There's the funk band, the people doing yoga in the park and a group of migrants from East Africa hanging out on their usual bench. KASTE: Idris Diriy is from Somalia. He's been here about nine months. He's already learned to speak some German and to be wary of German police. KASTE: "The police are, so to say, racist," he says. He's stopped all the time. The cops check his ID, he says, and they make him dump out the contents of his backpack. KASTE: "For sure, this happens once a day," he says. Diriy worries that eventually one of these checks will turn into deportation, and it's not an unreasonable fear because local police in Germany are often involved in deportations. DAVE SCHMIDTKE: The police used pepper spray towards the whole family. KASTE: This is Dave Schmidtke with an NGO called the Saxony Refugee Council. He's describing what happened a week earlier when a family from Chechnya arrived for an appointment at a government office and the police showed up to deport them. The mother pulled out a kitchen knife and slashed her own arm. SCHMIDTKE: I just saw blood all over the floor as the woman was screaming, and I felt like, please, don't tell me you still want to deport this family. KASTE: Schmidtke believes that officer's involvement in deportation is undermining the migrants' trust in German police. SCHMIDTKE: They're afraid of talking to police people, especially as a witness or something because they always think, maybe some of the informations are getting used to deport me one day. KASTE: To American ears, this is a familiar argument. In the U.S., police in self-styled sanctuary cities often stay clear of immigration raids and avoid giving the feds information about people who are in the country illegally. SVEN HUBER: I can't believe that that would be a German idea. KASTE: This is Sven Huber. He's a chief inspector with the German federal police and an official with the country's biggest police union. He's strongly pro-immigration, but, as he switches to German here, he says it's still obvious to him that police and immigration authorities need to work together. HUBER: (Through interpreter) The fact that we want to know who is who, who's doing what, it's right that we know that. It's a matter of security, especially because during the wave of migrants in 2015 and '16, we realized there were some people coming in who we needed to watch very, very closely. KASTE: Huber thinks local police should be involved with deportations, at least occasionally, so that they're not shielded from the unpleasant reality of it, such as having to roust a peaceable family out of their beds at 5 a.m. to put them on a plane. And deportations are becoming a bigger part of German police duties. Voters have been pressing for more efficient processing of asylum requests, which means quicker deportations, especially in more conservative parts of the country. Still, there's no talk of creating a specialized immigration police, such as America's ICE. Huber finds the very notion of such an agency disturbing. HUBER: (Through interpreter) If those officers' jobs consist of nothing but catching people to deport them, people whose only crime is being in the country without permission, what does that do to those officers? What does it do to their heads and to their souls? KASTE: This reflects the sensitivity of this subject here given Germany's history. People even avoid using the word (speaking German), deportation, because it echoes the Nazi era. Instead, they say, (speaking German), literally, pushing off. But despite the euphemism, the prospect of deportation has created tension between migrants and police. KASTE: There've been fights between groups of migrants and police in recent months. The TV channel ZDF Info recently aired this scene of German officers trying to control an angry crowd at a migrant hostel. UNIDENTIFIED POLICE OFFICER: OK. Listen now. This is Germany, and we make the rules. OK? UNIDENTIFIED PERSON #2: We don't know anything about that. KASTE: Sven Huber admits that many police here feel, as he puts it, challenged by Germany's new multi-ethnic reality. He points to the retired police who recently ran for office as candidates for the anti-immigrant party AFD. Some police departments are trying to change officers' attitudes with multicultural training, but those efforts are still rare. The general sense among police here is that it's the migrants who need to adapt. 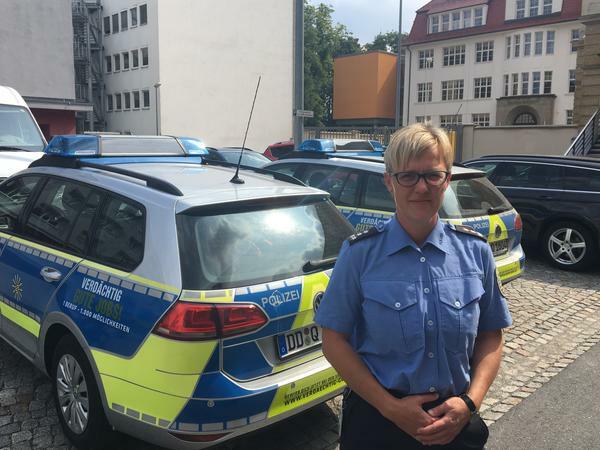 Yana Albrecht, a spokeswoman for the police in Chemnitz, where the Chechen family was pepper sprayed. KASTE: "I think the refugees have a very different experience of police in their home countries," she says. "They don't see police as friend and helper." Ulbricht thinks more positive experiences with police will help change that, but that may be difficult as long as the police are also involved in deportations. Martin Kaste, NPR News, Berlin. Transcript provided by NPR, Copyright NPR.